Chris Stevens has been working in radio for over 15 years, but it was when his job took him to Dallas for a five-year stint that he fell in love with country music. On his return to the UK in 2010, he discovered that there weren't any country stations that sounded like the ones he enjoyed in Texas, so he set his own up, called Chris Country. 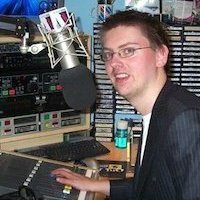 And at the weekend Chris packs the best of Chris Country Radio into a two hour show right here on Radio Hillingdon. You'll hear the latest country releases along with some classics, plus gig information, interviews and our artist of the week.